What Type of Service Does Your Car or Truck Need? When it comes to auto repair and service in in Howell, it’s hard to know who to trust. You want a guaranteed repair by a qualified, experienced mechanic, and you want the assurance that you’re not paying, or overpaying, for a service you don’t really need. We get it. That’s why every Auto-Lab® Car Care Center estimate starts with a computerized diagnosis of the problem and an accurate estimate of what it will cost to fix it. If you choose to have our ASE certified mechanics perform the service or repair, we’ll back our work with a FREE 33-point inspection and an unmatched 24,000 mile-24-month warranty on parts AND labor! When you bring your car into Auto-Lab® of Howell, whether it’s for an oil change, check engine light diagnostics, new tires, or a major repair, you get the reassurance your vehicle is being worked on by qualified mechanics, and peace of mind that you won’t be overpaying. Never Put Off Car Repairs Again! Ignoring dashboard warning lights, squeaky breaks, a shaky steering, bald tires, and strange engine noises won’t make them go away. In fact, putting off necessary repairs usually leads to a much bigger problem (and repair bill) in the end. That’s why Auto-Lab® in Howell offers on-the-spot financing through Care One. We even accept Car Care cards from other shops like Midas, Napa, and more. 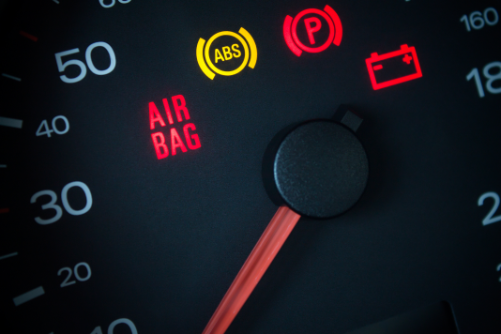 We care about the safety of you and your family, and that includes driving a well-maintained vehicle. So, if you’ve been putting off manufacturer recommended maintenance hoping your tires can make it another season, or wishing you could fix a noisy exhaust, squeaky brakes, or difficult steering, bring your car to Auto-Lab® in Howell. We’ll help you get the financing you need to get your vehicle running smooth again! To thank you for choosing Auto-Lab® of Howell for regular oil changes, routine maintenance, car repair and computerized estimates, we'll give you a FREE oil change after your 5th service from us. That's a $24.99 value! Simply download our FREE Auto-Lab® app and you'll get oil change reminders, access to specials, and best of all, rewards!